Glendale is an independent city nestled in, around and below the Verdugo Mountains. This affluent and beautiful metropolis traces its history back to a Mexican Army Corporal named Jose Verdugo who received permission to settle and graze the land in 1784. He called this 36,403 acre area “Rancho San Rafael”. In 1871 the “Great Partition” court settlement cleared up decades of quarrel about ownership and title of this land. 28 parties divided the Rancho into what is today Glendale, La Canada, La Crescenta, Atwater, Eagle Rock, Mount Washington, Glassell Park and Cypress Park. The original Spanish Ranchos. San Rafael is circled in red. By 1884 residents of the area were referring to it as “Glendale” meaning “Valley” in Gaelic, a language spoken by many settlers. 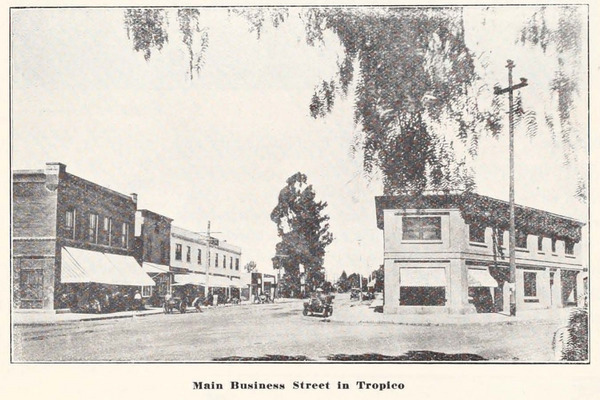 In 1887 the separate city of Tropico was established in the southern part of Glendale along the LA river. Tropico was on fertile agricultural grounds and became famous for it’s signature strawberries “Tropico Beauties”. Like most cities around this area, Glendale owes much of its early success to a larger than life promoter. Leslie Coombs Brand was an early banker, speculator and real estate developer. He partnered with Henry Huntington in neighboring Pasadena to bring the Pacific Electric Railway or “Red Cars” to Glendale. The popular cars ran up and down the street that would later be named Brand Boulevard in homage to Mr. Brand. Glendale incorporated as a city in 1906 and annexed Tropico in 1918. 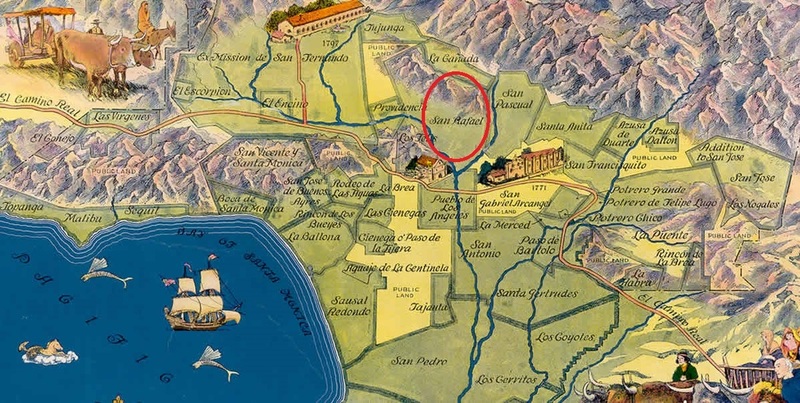 In the early 20th century citrus groves and farm lands began to turn into housing tracts and soon Glendale was “The fastest growing city in America” with population increasing from 13,756 in 1920 to 62,736 in 1930. In the 1970s development of the 134 and 2 freeways and the Glendale Galleria mall brought more people and prosperity to Glendale. Glendale has maintained much of its original character. Vintage homes are still intact and many are well kept. Glendale has many upscale neighborhoods in the hillsides and highlands of the Verdugos. It also has a happening downtown area with the Americana Mall and Brand Boulevard packed with hundreds of shops, restaurants and bars. Glendale is a clean, safe middle class neighborhood with excellent schools and much to offer.